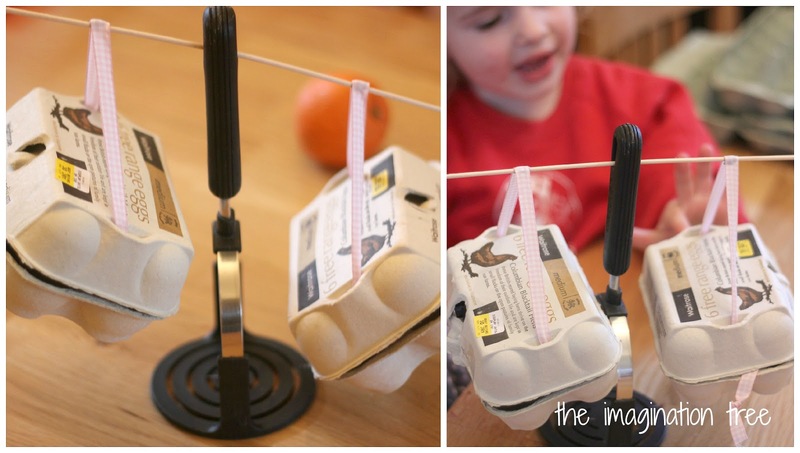 Recycle old egg cartons for use in playful maths investigations, using them to create some weighing scales and a non-standard unit for measuring objects with! 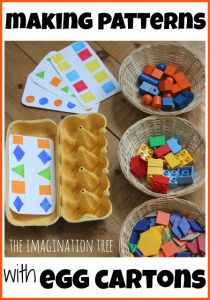 Welcome to a brand new early learning series being hosted on The Imagination Tree and Learn With Play at Home each week, about Playful Maths ideas! We will be presenting fun, hands on and creative ways to make learning maths concepts exciting for young children from toddlers through to school age. Each week we will be showing you ideas for using the most ordinary of everyday materials as an exciting play prompt for learning, and this week we are starting with the humble egg carton! Over the next two weeks we will show lots of different ways that egg cartons can be used to cover lots of early maths learning objectives. 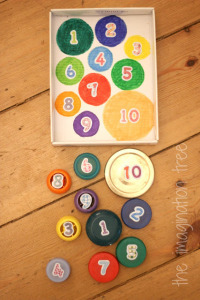 I’m starting with measuring today and Learn With Play at Home has a brilliant way to teach number bonds to 10! Fisrt of all we made some simple weighing scales to demonstrate very visually how some objects are heavier or lighter than others. This was great for investigating in a very hands on, practical way together and the cartons worked well! 2. Thread through the ribbons and tie knots on the underside to stop them slipping through. Make sure the ribbons are still the same length! I had to readjust mine a couple of times to make sure. 3. Push the skewer through the hole in the kitchen implement (or whatever you have found to stand in the middle.) I added a little bit of blu-tac to keep it secure in the middle. Measure an equal distance from the middle on both sides and mark it with a dot. Then put a little blu-tac on each dot and hang the boxes over that spot to keep them an exact distance apart. All done and ready to get weighing! To test our weighing scales we found some small objects that would fit inside the boxes with the lids down. This was a great maths challenge in itself as they had to measure with their eye and figure out what may work. First we compared a small apple and a clementine. I asked the girls to predict which they thought would be heavier and how would the scales would tell us that. Cakie guessed the clementine because that was the one she had chosen to add, not for any mathematical reasons! She rightly said that the heavier item would make the scales tip and the box would go down. The apple was the heaviest! Next we tried two very similar sized toy trains and that was very hard to predict, but the train with the extra wheels was the heaviest and the boxes tipped accordingly. Then we tried weighing very light items and again, this was a great maths challenge to ask them to find very lightweight and small items to compare. We found some cotton wool balls and some small Lego Duplo blocks and the Lego was the heaviest, but not by much! This time Cakie had predicted correctly before hand. 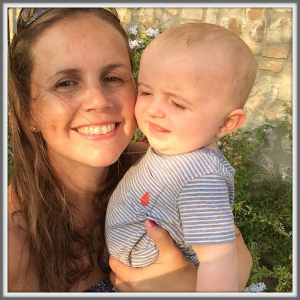 Another good challenge is to ask your child to predict what items might be perfectly balanced, by first holding them in their hands at the same time, at arms length to feel their weight for themselves. It can be a lot more of a challenge to find perfectly equal weight items than one heavier and one lighter. Next we had a go at using egg cartons to form a non-standard unit of measurement. 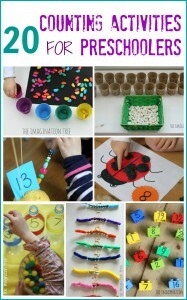 This is always a fun activity with young children as it takes the pressure off being able to read real numbers and introduces the concepts of measurement in a very kinaesthetic and practical way. 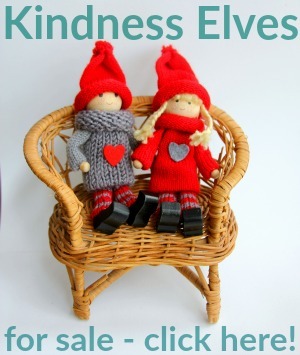 It can also be extended in any way that you like to become an open-ended challenge for older children too. Using some identical, 12 hole egg cartons, I first cut them into two long strips of 6 each. Then I cut those in half sideways to become 4 pieces, each with 3 holes in. This became our new unit of measurement and we called it The Eggy (after all, you can call your units anything you choose, right?!) With a huge pile of identical sized “Eggys”to work with, we were ready to get measuring! I drew a very basic little measuring chart with some various items from around the house, ranging in length from a tiny apple to a great big nearly 3 year old sister! Cakie used this to go around and find which item to measure next, and then wrote the corresponding length of each item next to its picture. We had a lot of fun together finding the items to measure and seeing which was the biggest and smallest and which turned out to be identical lengths. We talked about making sure the Eggy boxes were layed carefully in a straight line next to each object and that they touched end to end. There were a couple of instances where the object was slightly too long or too short and so we had to think of a solution. We talked about creating a half sized unit of measurement “The Half Eggy”, and simply cut one box down to be just 1.5 holes long. 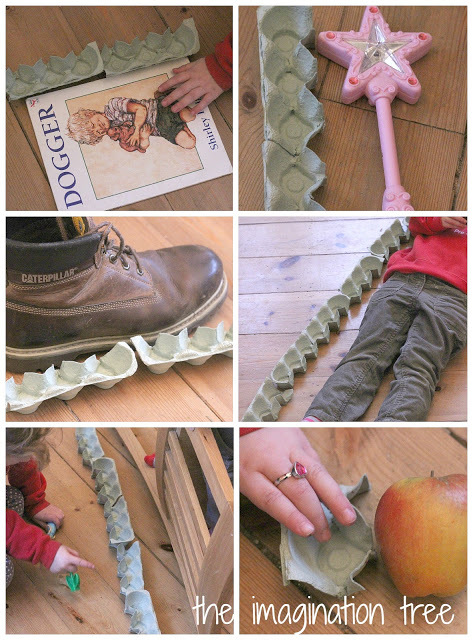 This proved particularly useful for measuring the apple, as it turned out to be exactly one half Eggy long! And Cakie wanted to be measured too, as well as Pop, and was found to be 7.5 Eggys long, where Pop had been 7! Who knew they were so close in size? Their Mum certainly hadn’t realised! After she had filled in the chart with all the numbers we looked at it and talked about which was the longest and shortest by seeing which had the biggest and smallest numbers. 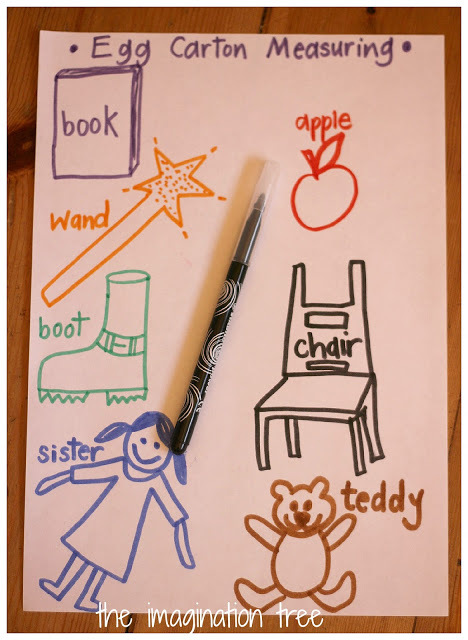 Then we talked about which items were exactly the same length, which turned out to be the boot, the book and the teddy bear. It is a really good idea not to skip this stage as being able to draw conclusions from the experiment they have done is a crucial part of the learning, and also helps to consolidate that written numbers equate to the very real experience they have just had. 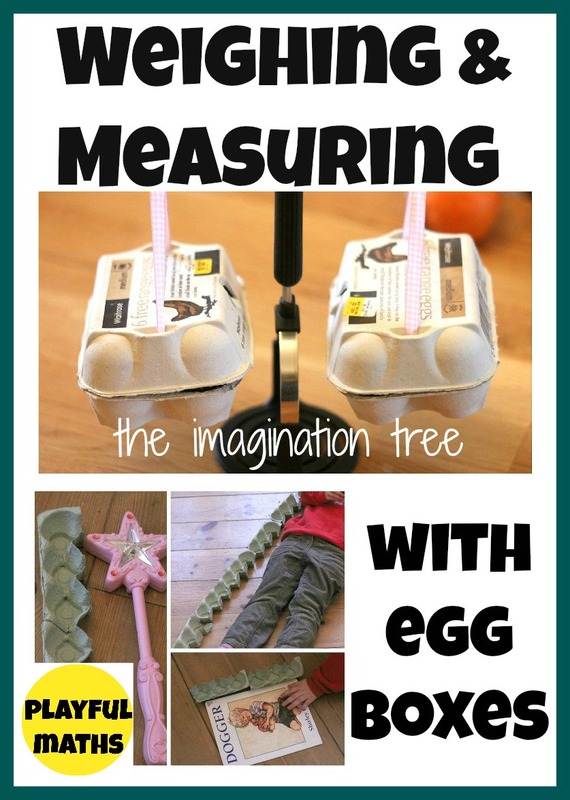 can they find something that is 30 Eggys long? 50? More? 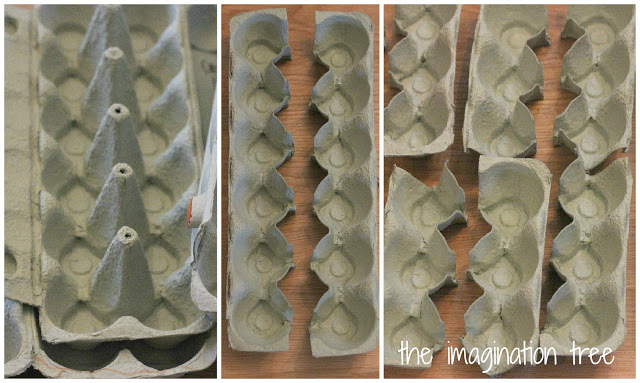 Don’t forget to check back next Friday on both of our sites to see what other maths games and concepts we will be posting about, using more egg cartons! Get collecting some cardboard tubes in the meantime, for upcoming weeks. This is going to be a great series! I love how you used the egg cartons! 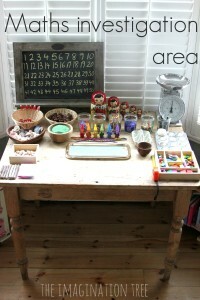 I love your blog and have just given you a shout over on my blog Only Best For Baby in my latest post on Sensory Play. I’ve also added the It’s Playtime button to my sidebar. 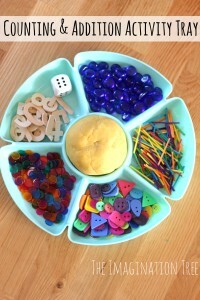 Thank you for all of the amazing ideas for play with babies and toddlers. 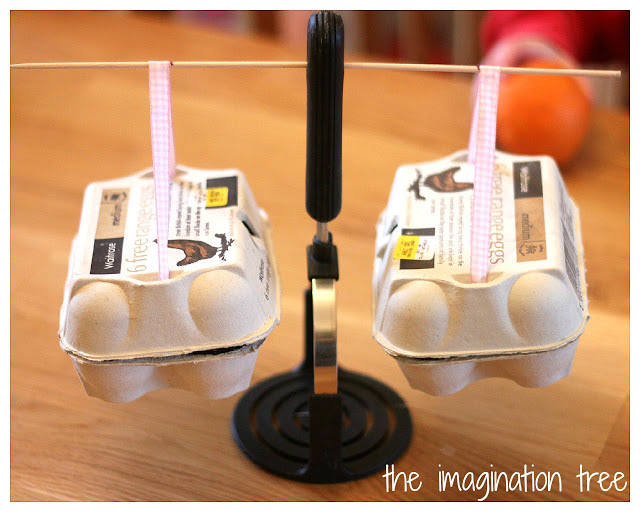 Fabulous, it’s both fun and educational, my son would love the egg carton weighing scales he really likes figuring out stuff like this and it’s is a nice way to get a handle on basic physics. Great stuff, thanks for sharing! I love this Anna, especially your scales!